1. The case for more Ubers. From mobile phones to microchips, it’s clear that even mega-companies must act in consumer interest when competition forces them to. When Uber and Lyft can pull out of Austin in response to new regulations, that’s a sign that they’re not facing enough healthy competition, and cities should be focusing on encouraging their potential rivals. 2. 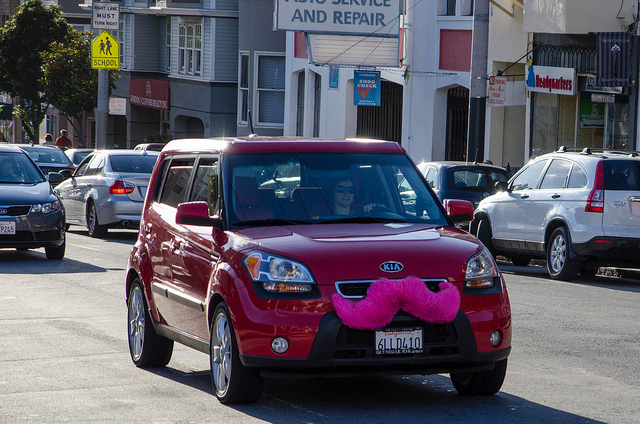 How cities can diversify their ride-hailing services. Following up on Monday’s post, we offered six suggestions for encouraging more Ubers. Throughout the local regulatory process, cities should be asking: will this help or hinder future competitors in this market? 3. Segregation and the racial wealth gap. The more that white and black Americans’ homes are separated from one another within a city they share, the greater the difference between the average incomes of the people in each racial group. Our analysis echoes similar academic findings, but it’s not clear whether segregation worsens inequality or the other way around. 4. Things are definitely looking up for Detroit. We compiled various indicators about the site of the country’s most famous urban economic collapse to show that with five straight years of job growth, Detroit seems to be on a very solid rebound. Though the city is still adding jobs more slowly than the national average or than its own suburbs, Detroit’s 1.4 percent annual job growth marks a clear turnaround from before the Great Recession, when the nation was adding jobs as Detroit was losing them. 1. Is the recent drop in homeownership good? Interesting question. While owning their homes has helped many middle class families build wealth, three of the five people in this NYT exchange say promoting homeownership might be counterproductive, especially for poorer households. Harvard’s Ed Glaeser says mortgage subsidies “stack the deck against America’s cities.” Author A. Mechele Dickerson points out that low-income homeowners tend to buy in neighborhoods with poor appreciation prospects and that rental affordability is a bigger problem. Economist Dean Baker flags the average home’s $25,000 transaction cost and says the state should be working to boost incomes, not subsidizing relatively wealthy homeowners. 2. Uber: steering toward monopoly? Uber’s decision to essentially pull out of China was major business news this week. The company sold its operations there to its Chinese competitor Didi Chuxing. Bloomberg’s Justin Fox floated a theory: Uber is getting tired of competition, so it’s focusing its money and effort on dominating markets where it faces smaller rivals. As we suggested this week, cities should care a great deal about whether their local market for ride-sharing and other transportation services is monopolistic or competitive. 2. Planning builds functional cities. Yes, we’ve all heard: most of the world’s population now lives in cities. But especially in the developing world, how we build cities (compact and efficient or riven by underdeveloped slums) makes a huge difference to their economic success and ecological footprint. Vernon Henderson, Anthony Venables and two co-authors explore data for Nairobi, Kenya, in a paper from the London School of Economics. They find that institutional problems–lack of clear land titles, corruption, and poor urban planning–lead to development and persistence of low-density, poor-quality housing in slums, which leads to inefficient use of valuable land at the urban center. Effective institutions are particularly important early on, because development patterns are hard to change once established. 3. Old vs. young on pension liabilities. In a growing number of cities, paying the costs of municipal pensions is a big financial challenge. Pension finance involves important intergenerational effects: current taxpayers are paying employees who provided services decades ago. A new research paper from the Philadelphia Federal Reserve presents an interesting twist: cities with fewer under-55 homeowners are less likely to fund public pensions, possibly because it’s young homeowners who most fear having to face the full costs later.